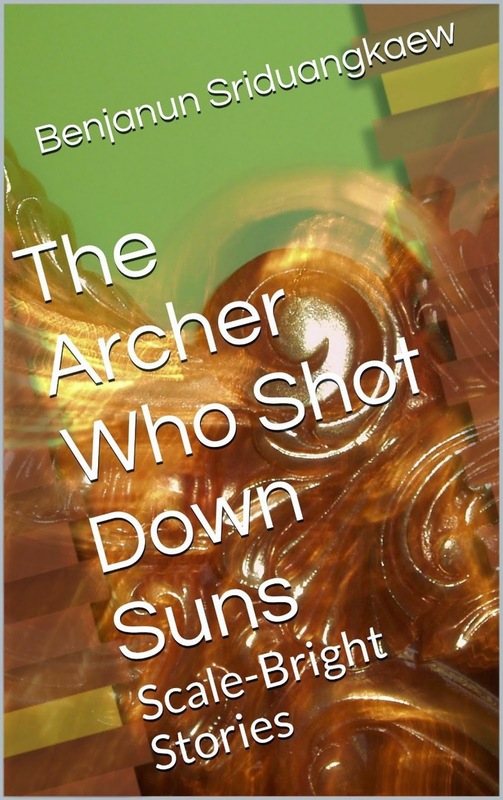 Julienne’s aunts are the archer who shot down the suns and the woman who lives on the moon. They teach her that there’s more to the city of her birth than meets the eye—that beneath the modern chrome and glass of Hong Kong there are demons, gods, and the seethe of ancient feuds. As a mortal Julienne is to give them a wide berth, for unlike her divine aunts she is painfully vulnerable, and choice prey for any demon. Until one day, she comes across a bleeding, wounded woman no one else can see, and is drawn into an old, old story of love, snake women, and the deathless monk who hunts them. 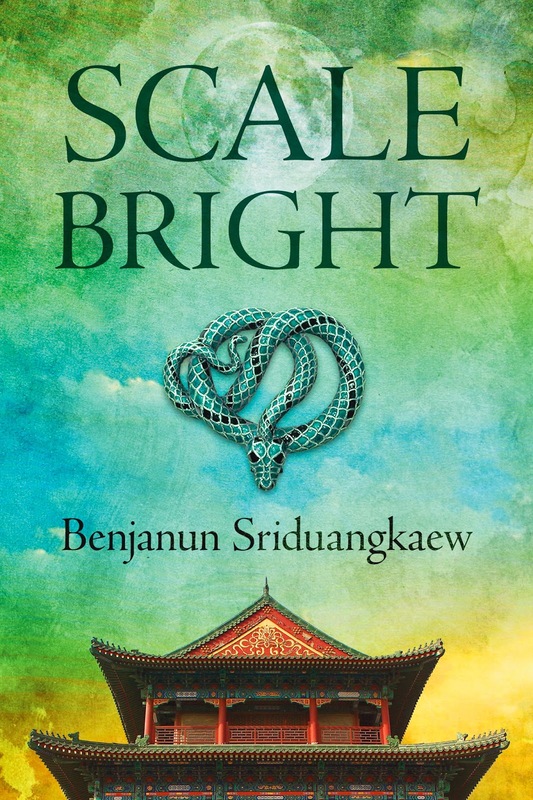 World Fantasy Award winner Lavie Tidhar has it that Benjanun Sriduangkaew may be "the most exciting new voice in speculative fiction today," and on the basis of Scale-Bright, he might be right. A love story set in heaven and Hong Kong arranged around a troubled young woman's belated coming of age, it's the longest and most involved tale Sriduangkaew has told to date, and considered alongside The Sun-Moon Cycle, it represents an achievement without equal. "An orphan who spent seven years hating equally the parents that died and the extended family that did not," Julienne, when we join her, lives what you might describe as a quiet life with her adoptive aunts, Hau Ngai and Seung Ngo. The fact that they're myths in mortal form complicates things a little, admittedly. She can't stop thinking about them. To adore each other so much after so long, for all the complications neither will voice. Julienne hopes that by the time she looks their age she'll have fixed herself. All her neuroses will be gone, as amusing and harmless as baby pictures. She doesn't want to think it's taken Hau Ngai and Seung Ngo centuries to become who they are. They have forever, and she has only a handful of decades. It doesn't seem right that at twenty-four she still finds herself with problems that should've been shed with adolescence, like bad hair and acne. "To be well, to know confidence, to have someone like Hau Ngai—just a little like, more human and less legend—for her own." These are her humble hopes. Alas, when your aunts are the archer who shot down the suns and the woman who lives on the moon, all is not so straightforward. It becomes evident, eventually, that the snake needs a favour. Her sister is being held in heaven, and she needs the archer's assistance to worm her way in. Whether or not she'll get it essentially depends on Julienne—who, true to form, isn't sure what to do. A heady urban fantasy filigreed with the richness of myth, Scale-Bright suffices as a standalone story. Julienne's journey of discovery—from within and outwith, wonderfully—is begun and done before the thing is finished, giving readers unfamiliar with Sriduangkaew's fiction a relatively thrilling throughline. Truth be told, though, the entire exquisite experience of it is apt to be substantially more satisfying if you've read the three stories of The Sun-Moon Cycle so far, which is where—aside the viper—this narrative's characters come from. We met sweet Seung Ngo and the martial archer she married in ‘Woman of the Sun, Woman of the Moon,’ whilst we were introduced to Julienne in 'Chang'e Dashes from the Moon.’ Even Xihe—the mother of the suns Hau Ngai shot out of the skies in 'The Crows Her Dragon's Gate'—reappears here, albeit briefly. Characters aren't the only thing Sriduangkaew's new novella has in common with said shorts. 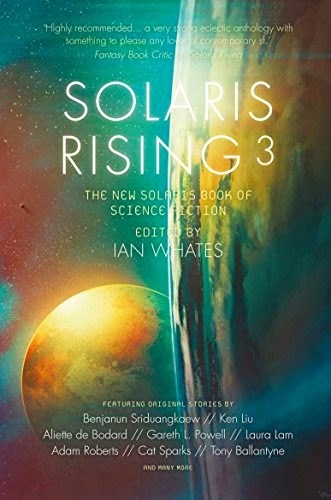 Its themes—forbidden love, gendered expectations and the need to break free from these—can be found throughout The Sun-Moon Cycle; its several settings take shape in those stories; as does its manifest fascination with mythology. Such a shame that they're not a part of the package... though they remain freely available. Words can't express how much I can't wait to read this one! It sounds like something that would be right up my alley, and I've been hearing so many positive reviews that it's hard not to go into it thinking that I'm really going to enjoy it. It is! And it's fixed. But thanks for catching that.